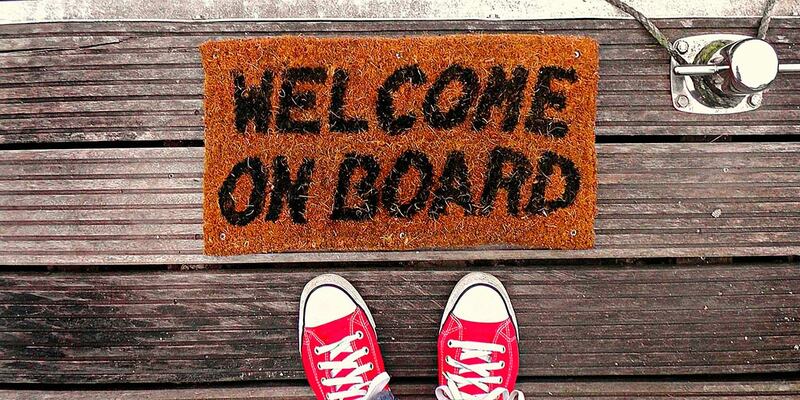 What does successful onboarding look like? For every SaaS, the answer is different. And even within your own SaaS, the answer can change based on the customer type. But, if you desperately want to avoid churn (and we all do), you’ve got to engage your customers early and often. That requires a slavish dedication to onboarding. Let’s take a look at the essential elements that you need to incorporate into your onboarding process, regardless of what you sell and who you sell to. If you can get these universal elements right, you’ll be rewarded with better customer retention. Let’s get started. You need to make an excellent first impression. You’ll do this with clear, clean copy that’s easy to understand. I mean easy enough for your tech-illiterate grandma to understand. If you can’t explain what you do in a way that anyone can understand, then you will lose prospects. This doesn’t mean that you should try to summarize your entire SaaS into a three-word slogan. But it does mean that your information should be simple and succinct. Focus on the pain points– the main drivers that bring people to your solution. Then, entice the visitor to learn more. Requiring too much info up front? That’s the quickest way to repel prospective customers. Instead, get their email. Don’t even worry about their name just yet. The email is the proverbial foot in the door. After you’ve earned their email, then you can go in asking further identifying questions, such as name, password, preferences, etc. A lot of onboarding takes place off of your site. Get comfortable with the inbox because that’s where you’ll spend most of your energy. This email welcomes the customer to your product, and formally introduces you. You’ll set expectations for how often you’ll communicate, and you’ll share information that the customer needs to be able to use your product immediately. These are ongoing emails that help the customer learn more about your product. From tips to tutorials to customer case studies, educational emails span the gamut of resources that help the customer achieve success with your product. When a customer reaches a milestone in your app, send out a congratulatory email. These trigger-based emails tend to be more one-to-one than educational emails, and provide a great opportunity for you to re-engage the customer. 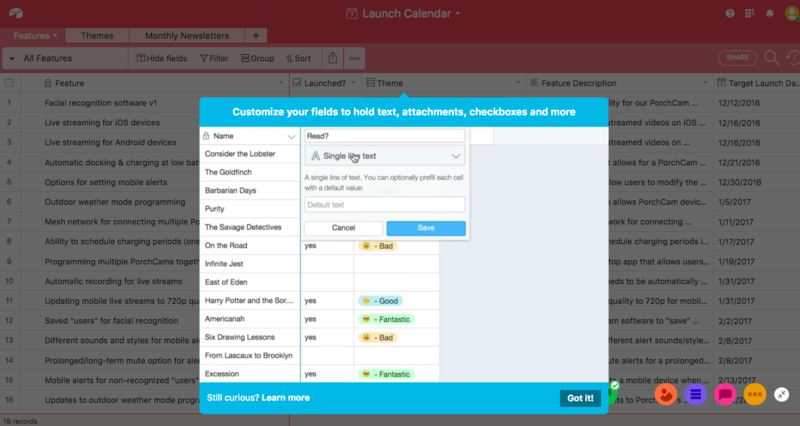 Create a set of conversion-focused onboarding emails with this checklist. Surveys are critical to understanding what success looks like for your customer. Everything else is prediction or assumption. Remember that not everyone comes to your product for the same reason. Your customers may have the same pain point (for example, not enough time to schedule social media posts), but different end goals (build brand awareness or cultivate an active community). If you’re blind to their end goal, you won’t be able to guide them to the right experience with your product. You need to know what their goal is so that you can put them on a path to success– and, depending on your product, there may be multiple ways to success. Do they want to simplify their workflow? Encourage employee engagement? Increase brand awareness on social media? Think of the many different goals that customers may have when using your product, and create a survey that helps you segment customers accordingly. This way, you can send more targeted emails and resources that help them reach that end goal. Piggybacking on that last point, I recommend creating checklists for your customers to follow. Even if they’re unaware of the checklist, you should make it a part of your onboarding process. Whenever a customer reaches a milestone, congratulate them and make it a positive experience. Constant positive reinforcement helps customers stay engaged. It can motivate them to move quickly towards the next step in the process, especially with you there to guide them. Don’t open the door and leave them there to fend for themselves– take your customer on a guided tour of your product. Airtable does a great job of onboarding new customers. After you sign up, even before verifying your information, you can take a tour of how to use the product. There’s also a subtle checklist at the bottom of the page that helps you figure out how much further you have to go in the tour. A guided tour minimizes frustration and sets your customers up for success. Don’t just expect the customer to know what to do with your product– they’re new to it and they haven’t worked with it day in and day out like you have. So, it’s your job to help them understand. This is where explainer videos come in handy. You can use a video to demonstrate your product and provide training for the customer. The vast majority of us are visual learners. We need to see the product in action to understand how it works. Plus, the brain processes visual information 60,000 times faster than text. So, by appealing to the visual, you’ll set your customer up for success a lot faster. Your videos should explain the why and not just the how. Your customer needs to understand why it’s necessary to do something, not just that they should do it. By appealing to reason, you can reduce churn. Keep it short (each video should be less than 10 minutes in length). Keep it focused (one topic or subtopic per video). Keep it simple (the average customer should be able to understand the video’s content). Keep it action-oriented (the customer should be able to act after watching the video). What’s one of the biggest benefits to hiring a customer success manager? It’s the ability to stay in contact with your customers in a real and personal way. Don’t wait for your customers to contact you. Most customers will only initiate contact with you if there’s a problem. Instead, be proactive and get in front of any problems that could potentially derail the customer’s experience with your brand. Schedule periodic check-ins to make sure that the customer is still happy and excited about your product. Offer assistance– but don’t just extend a generic offer. Provide them with real ways that you can help. For example, offer a 30 minute strategizing session, or invite them to a free webinar. 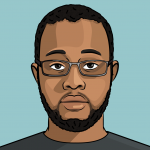 If you don’t have one already, you need a knowledge base. And if you do have one, you need to make sure that it’s stocked with the information your customers need to be successful. A knowledge base is an online library that your customers can access to learn more about your product and how to use it. It’s usually a collection of short, but detailed, answers to help your customers get “un-stuck”. Organize your knowledge base with the customer in mind. So many companies create overly technical knowledge bases that their customers cannot navigate through. Most of the time, the customer doesn’t know what they’re looking for by its proper name or term. Is your knowledge base flexible and user friendly for all of your customers, not just the tech-savvy ones? Does it link to other helpful pages that can better answer the customer’s question? 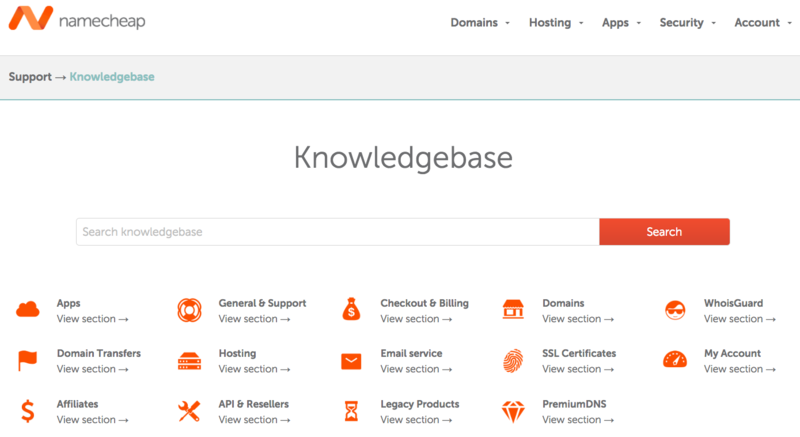 I like the way Namecheap organizes its knowledge base into easy to understand categories. 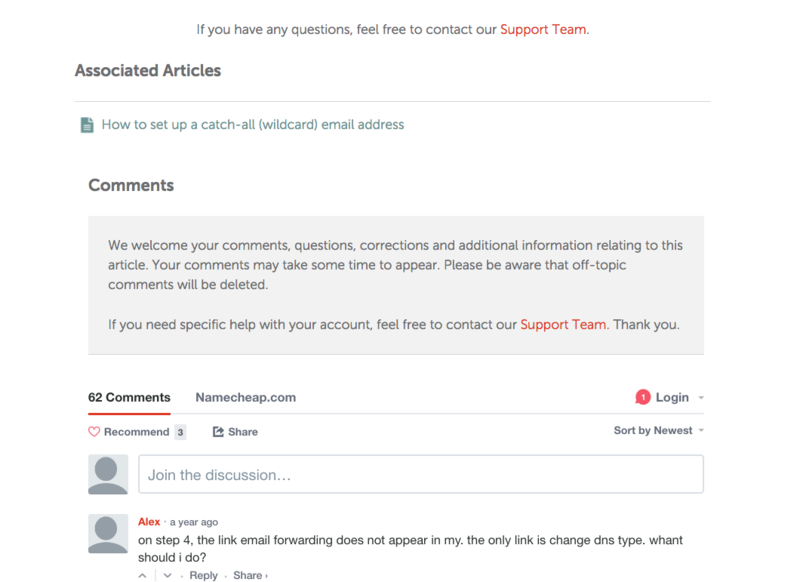 After you read an article, you have the option to 1) contact the support team; 2) read an associated article, or; 3) leave a comment and get answers from the Namecheap community. When your customers reach out for help, they want answers right away. Not tomorrow, certainly not next Wednesday. The longer you make them wait, the more likely they are to churn. Their eyes will wander over to your competitor– and you don’t want that. Twitter is one of the best tools for customer support. Direct questions and comments over to your Twitter profile, and make sure that you have someone manning the post during “office hours”. Or HipChat. Or whatever chat program you prefer. Using a chat program allows you to have more secure conversations than on social media, while giving you more flexibility to share files. Include live chat on your website. This method allows for more direct, one-to-one contact. The added benefit of live chat is that everything is contained on your site, so you’re not asking the customer to click away to another destination to reach you. Don’t forget to download this checklist for creating conversion-focused onboarding emails. Here’s a checklist for creating conversion-focused onboarding emails. Subscribe to receive this extra checklist.